Judge James A. Haynes has ordered a Second Stay in the case of State of Montana v. William M. Windsor aka Tweet-Gate. Bill Windsor has been attempting to get Judge James A. Haynes disqualified due to his outrageous bias. My Second Motion to Disqualify Judge James A. Haynes was denied by Chief Justice Mike McGrath (a University of Montana alum) claiming that I had failed to allege facts showing personal bias or prejudice. Here's the Order Denying the Motion to Disqualify. But judges like Chief Justice Mike McGrath do not let the undeniable facts get in the way of their dishonesty. They simply pretend the facts don't exist. I'm not surprised by this because this is what dishonest and corrupt judges do. I then filed a Motion for Reconsideration, and this caused Judge James A. Haynes to order the Second Stay in the case of State of Montana v. William M. Windsor. Judge James A. Haynes is intent on doing anything and everything he can to see me get legally raped in the land where rapists routinely go free. 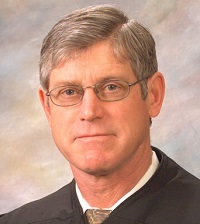 If the Chief Justice of the Montana Supreme Court does what he is obligated by law to do, he will assign a district court judge to conduct a hearing on the disqualification effort. I presented 30 sworn paragraphs in my Affidavit and 28 in my Motion that expressed personal bias or prejudice. If the Chief Justice of the Montana Supreme Court does not assign this for a hearing, he is providing excellent evidence of how the Constitutional and legal rights of Americans are denied based upon perjured court orders. 58 sworn paragraphs, yet Chief Justice Mike McGrath (a University of Montana alum) claimed that William M. Windsor had failed to allege facts showing personal bias or prejudice by Judge James A. Haynes. Folks, the dishonesty and corruption of judges doesn't get much easier to prove. I will be taking this documentation to the FBI.